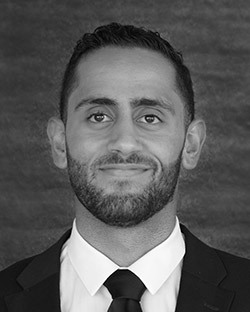 Ramsey Hamdan is ready to serve his clients as a trusted broker with Urban Real Estate. Dedicated to helping clients find their next home, Ramsey was inspired to transition to a career in real estate after having a difficult time finding high-touch, invested real estate professionals, to help him find his own rental home. He began his career in leasing, and now is a real estate broker, helping his clients buy, sell, or rent their next residence. The University of Illinois at Chicago graduate brings to the table his meticulous skillset for detail, impressive career background in the corporate arena, and ability to listen to a client’s needs, helping them find more than what they need – but a place to really call home. Ramsey believes in offering a level of communication that is consistent, expeditious, with thorough follow-up to any transaction big or small. Ramsey's passion for buying and selling still comes with his dedication to rental clients, all treated alike at Urban Real Estate, with the utmost attention to ensure that those looking for a home, or those looking to rent out their property, receive the highest caliber of service from the Urban team. Let Ramsey guide your next transaction and help you buy, sell, or lease your home with confidence.